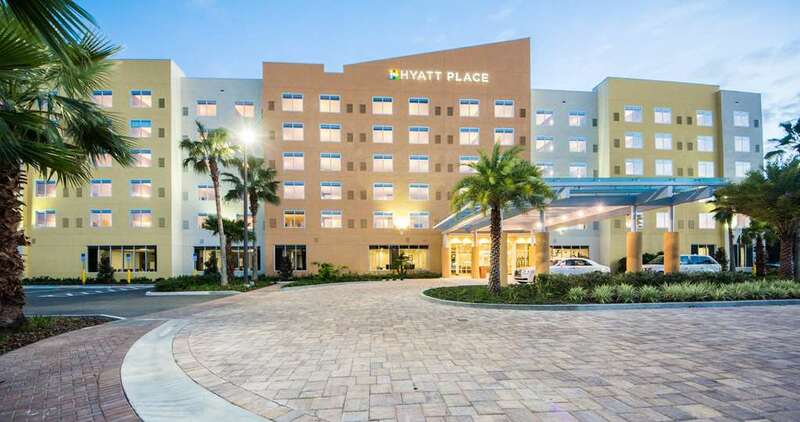 The brand new Hyatt Place Orlando/Lake Buena Vista offers 169 spacious guestrooms and kids suites, and over 6,000 sq ft of meeting space. We are located one mile from Disney and within 20 minutes to airport, convention center and all major attractions. Enjoy free breakfast, fast Wi-Fi, free parking and free shuttles to Disney. Hotel is within walking distance to dozens of restaurants. On-site amenities include outdoor pool, fitness room, E-room, 24/7 food & drinks including Starbucks and wine. Located in Orlando on the corner of Palm Parkway and South Apopka Vineland Road.